Pepperl+Fuchs is proud to announce a major portfolio development for its Bebco EPS® 6500 purge system: SIL 2 certification from exida. The 6500 is an innovative automatic system delivering all the features you need for reliable, safe, hazardous location protection in a small, streamlined solution. 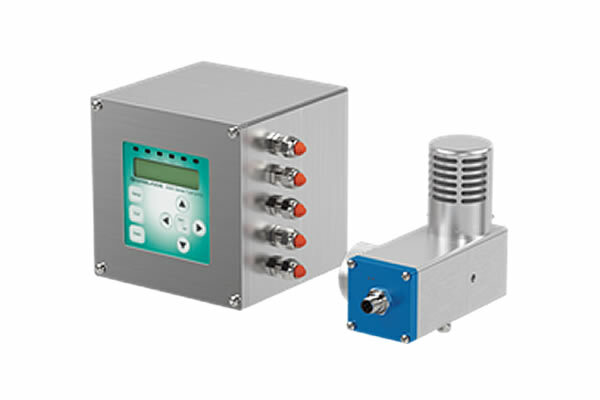 Engineered for simple and functional safety operation, the Bebco EPS 6500 Series Ex pxb/pyb purge and pressurization system sets a new standard for SIL 2 global certified purge solutions. Unlike other solutions available today with claims of SIL-rated products, the 6500 SIL 2 approval certifies the entire system. Its hardware and firmware are all SIL 2 certified. This includes the electrical power control unit, user interface, and EPV-6500 vents. The current version of the 6500 will be obsoleted, and the 6500 SIL-rated version will be its direct replacement. Only the part numbers will change. The model numbers will remain the same for OEMs that have this listed with their system. The functionality of the SIL-rated version is no different than the non-SIL units. It will be a direct drop-in replacement for existing customers. There is no price increase for the SIL-rated 6500. The SIL manual for the 6500 will be available on the Pepperl+Fuchs website and will be shipped with every unit. Stock of SIL-rated 6500 units will be available in about 3 weeks. On-demand training materials will also be available in a few weeks. When it comes to placing electrical equipment in hazardous locations, few protection methods offer the versatility and efficiency of purge and pressurization. When compared to other methods of protection, purge and pressurization delivers an unmatched combination of cost-effectiveness and simplicity for hazardous location protection.